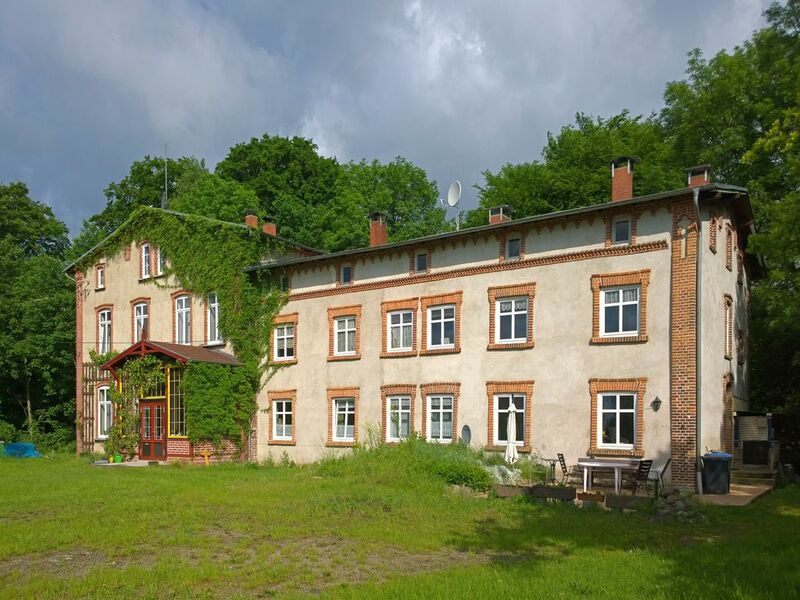 Embedded in the hills of Mecklenburg Switzerland, in the tranquility of the Mecklenburg Parkland, lies the small village of Alt Krassow between lakes, forests and fields. For swimming and swimming you choose between the clear Kuhlensee, which can be reached in 5 to 10 minutes on foot, or the larger, also very clear lake Schliefenberger in about 3 km away. Anglers find their paradise at nearby Krassower See. Here in the Sternenpark, the Milky Way and the Zodiac signs can be seen very well in clear night skies thanks to optimal darkness and a clear view of the sky. Music lovers enjoy the great concert selection of the Mecklenburg Festival. Eine super Unterkunft von einer super netten Vermieterin in einer super Umgebung. We really enjoyed our weekend here. The apartment is very large with a well equipped kitchen and large modern bathroom. It was peaceful and quiet with a beautiful outlook. Our children had fun playing outside and we enjoyed eating and relaxing on the terrace. The owners were very friendly and helpful. Es war ein toller Aufenthalt, sehr nette und hilfsbereite Vermieterin ,sehr schöne Umgebung und eine große und mit allem ausgestatte Ferienwohnnung! Absolut zu empfehlen, vor allem auch mit Kindern!